Collagen is a key component of the skin’s structure, responsible for keeping it firm and elastic. As we age, the body produces less collagen, resulting in fine lines and wrinkles and drier skin. A collagen detox mask pulls toxins and impurities from your epidermis – leaving skin brighter, smoother, and healthier. 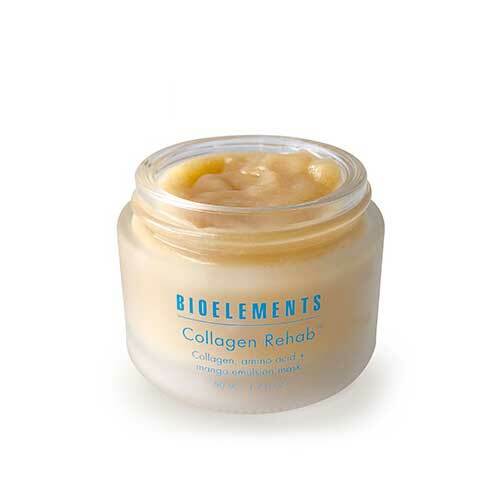 Molly recommends using Bioelements Collagen Rehab after exfoliation to help support collagen and elastin performance of your skin.